West Nile virus (WNV) particle, computer artwork. WNV particles (virions) consist of an outer protein coat (capsid) encasing RNA (ribonucleic acid), the genetic material of the virus. 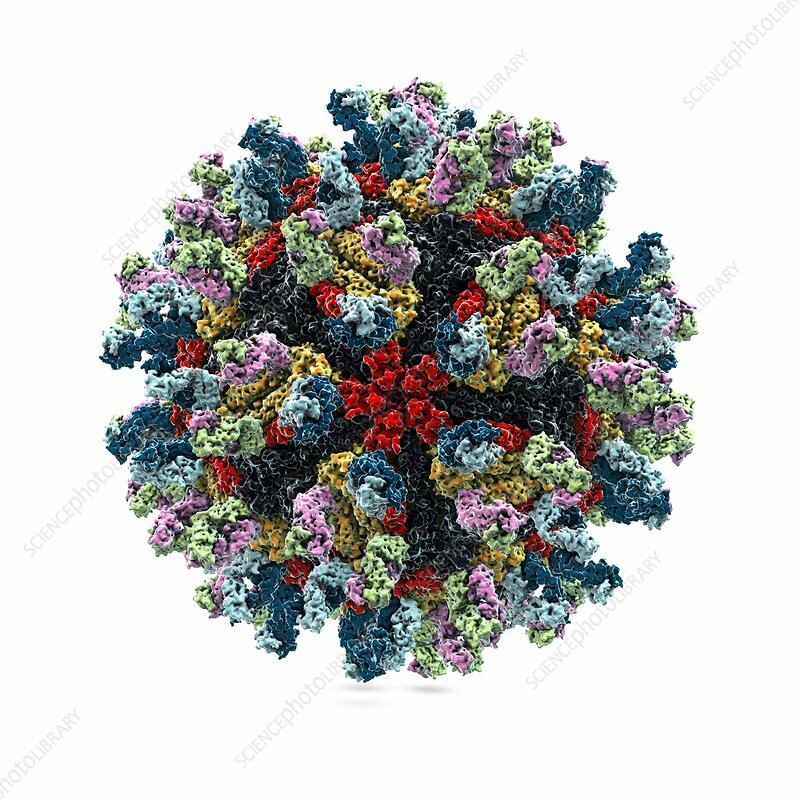 The capsid is covered with surface proteins (green, pink and blue) that bind to cells and enable the virus to infect its host. WNV is most commonly spread by mosquitoes and ticks.